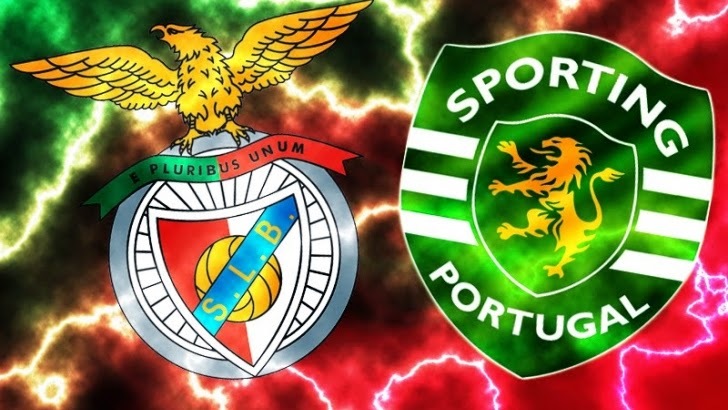 There are few things that can make a soccer-mad nation stop dead in tracks like a fantastic derby, and the upcoming 293rd edition of the Lisbon Derby between the eternal rivals Sport Lisboa e Benfica and Sporting Clube de Portugal will surely do just that. Benfica was formed in 1904 and was actually known then as Sport Lisboa (a future merger in 1908 with a cycling team led to the creation of the current version of Sport Lisboa e Benfica). Sporting was created in 1906 when a number of unsatisfied Sport Lisboa players left the club to create a new one. Thus, the rivalry was instantly born when Sporting was formed. Benfica has traditionally been known as a club of the working class, and this was no more apparent than how the original Estadio da Luz was contructed – with monetary donations from the clubs’ supporters as well as donations of bags of cement from various construction organizations. Sporting was constantly referred to an aristocratic club, one where the elite came to play at. The main founding father of the club, Jose Alvalade, came from noble roots. The first derby between the two Lisbon giants occurred on December 1, 1907, which resulted in a 2-1 win for Sporting. Benfica wore their traditional all-red kit while Sporting donned a half green, half white strip. The winning goal was not scored by a Sporting player; rather, one of the founding fathers of the Sport Lisboa club, Cosme Damiao, scored an own-goal that led to the victory of the verde-e-brancos. Sporting and Benfica would both go on to become the most pre-eminent Portuguese clubs in the 1930’s, 1940’s, and 1950’s. By the time the 1959/60 season finished, each club had amassed a total of 10 championships each. In 1960, however, a key event would occur that would lead the encarnados to be the squad who would amass European glory, and would fuel the fire of the already heated Lisbon rivalry. The famed Eusebio was a Mozambican center forward who was plying his trade with a Sporting farm team when a Benfica scout had seen him play. In an effort to get O Pantera Negra to play for the reds, the team had negotiated his transfer with the players’ former team and his father, brought Eusebio to Portugal and had him hid in the southern portion of the country, the Algarve. A week after arriving in Portugal, Eusebio had signed his contract tying him to Benfica and the rest, of course, is history. 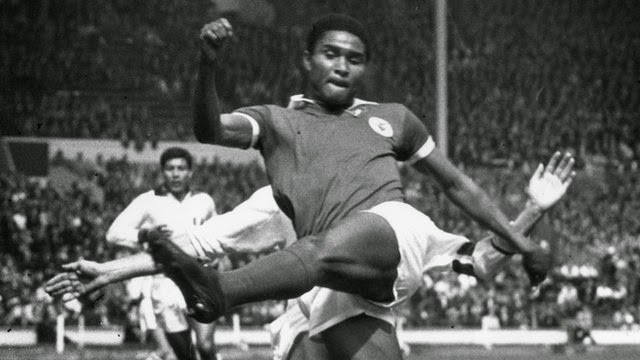 Eusebio would become a major factor in many Lisbon derbies, amassing a total of 27 goals in 29 matches. This tally is second only to Sporting’s famed striker Peyroteo, who scored 31 goals in a total of 29 derby matches. Over the past 100 years, Sporting and Benfica have played a total of 301 matches over various competitions. Benfica has won a total of 132 matches, with Sporting amassing a total of 110 victories and the other 59 matches finishing in a draw. Incredibly, the two Lisbon giants have only played in eight Portuguese Cup finals, with Benfica winning six of the finals. The Portuguese Cup has been battled over twice, with each club taking one apiece, and the League Cup was contested once in 2009, with Benfica winning in penalties. Some of the more famous matches between the two clubs were the 7-1 Sporting victory at home on December 4, 1986; the Benfica victory away to Sporting 6-3 on May 14, 1994; a 3-1 Sporting victory away in a Portuguese Cup match in 1999 and a 5-0 Benfica thrashing at home in a Portuguese Cup QF match in 1986. While the majority of the clashes have remained on the pitch, off the pitch it can get testy. Both clubs have passionate supporters, with Sporting’s main supporter group the Juventude Leonina and the main Benfica supporters being the No Name Boys. Each supporter group does it best to ensure that their respective voices are heard, and it is quite common to see huge placards, flags and banners displayed over their sections of the stadiums. Clashes commonly occur outside the stadiums in which the derby is played and the away supporters often have police escorts that lead them to their section in the stadium. Unfortunately, the derby has also brought out the worst possible outcome that could occur. In the 1996 Portuguese Cup final disputed by both clubs, Sporting supporter Rui Mendes was killed when a firecracker lit by a Benfica supporter, Hugo Inacio, hit him in the chest. While both clubs now ply their trade in world class stadiums, with world class players on the pitch, the one main aspect that has not changed, however, is the deep-rooted rivalry that is well over 100 years in the making. It’s always the most looked forward to match on each respective supporter’s calendar and will continue to be as both teams look to retain bragging rights throughout the season.